As part of our work to evaluate real life interventions, CEDAR has worked with two physical activity interventions for school aged children in Cambridgeshire. The Activ8 programme is an after-school club run by the Cambridge School Sports Partnership, which aims to encourage inactive children to engage with non-traditional sports. CEDAR conducted work to determine the feasibility and acceptability of conducting a large-scale randomised control trial (RCT). We conducted two small pilot studies both run during one school term: a before-and-after trial in three city schools; and a small-scale waiting-list RCT in one city and two village schools. Participant and parent feedback has been positive, and the work to evaluate effects on physical activity is underway. The pilot work has highlighted some of the challenges in evaluating existing provision: further efforts to boost recruitment and measurement compliance would be required were a larger scale RCT of Activ8 to be conducted. These findings are useful to consider when designing evaluations of public health interventions targeted at children. 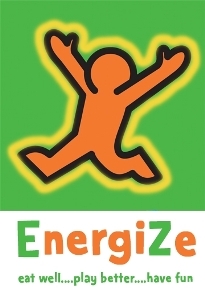 EnergiZe is run by NHS Cambridgeshire, and offers families a fun way to help children manage their weight by improving fitness, physical activity levels, nutrition and self-esteem. It is currently running in various locations across Fenland, East Cambridge, Huntingdon and Cambridge City. The programme is made up of 14 two-hour sessions held once a week. Practical sessions attended by children and parents/carers include preparing and eating healthy foods, reading food labels, healthy shopping and budgeting and to fun ways to exercise – especially for children who are not fans of traditional school sports. This is followed by a 9 month ongoing support phase consisting of monthly telephone calls. CEDAR advised on the design of a pilot evaluation for Energize, a Change4Life branded programme We also provided physical activity monitors and analysed their results. Subsequently, we advised on how best to evaluate the effect of a larger trial by providing questionnaires and advice on evaluation design.